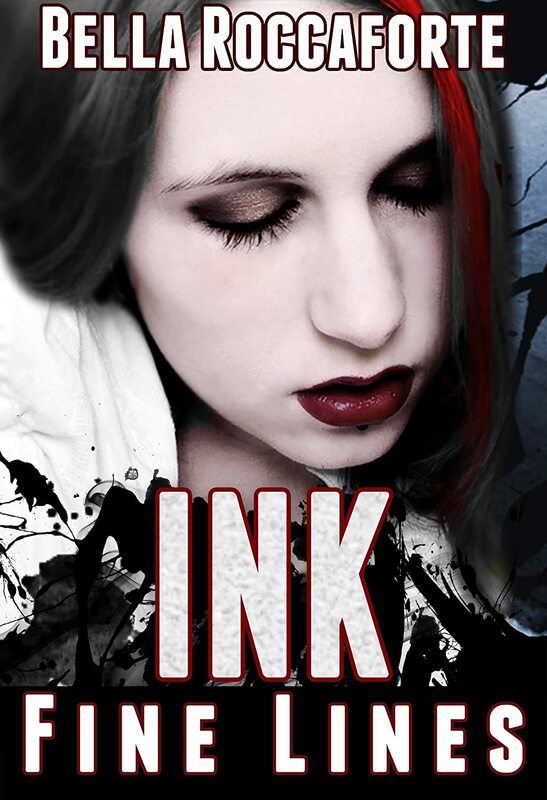 INK: Fine Lines is book 1 in a paranormal suspense series. Shay Baynes is a wanted woman: by the police for a double murder, by two rival suitors, and by the evil specter that haunts her dreams and soon her waking hours. It’s Shay’s twenty-second birthday and she’s finally in charge of her life. She’s out on her own and about to hit it big with a new comic series. But the ink isn’t dry on her breakout first issue when it all starts to unravel. Not even Shay’s twisted imagination can predict what will happen when the fine line between reality and nightmare is crossed. INK: Vanishing Point (Book 2) is available now. Bella’s motto has always been that you can choose to watch life pass you by or your can be the one spinning the world. You have to get out and live, life won’t come to you! To her, one of the most exciting parts of writing is getting a chance to interact with readers. It is truly her hope that readers will reach out and tell her what they like and even don’t like about her stories. She’s looking forward to a relationship with the readers to better write stories they will love. Please feel free to connect with her via Facebook, Twitter, Email or her website! HE WANDERS THE STARS IN SEARCH OF A HOME. INSTEAD, HE GOT A GIRL WITHOUT ONE. When Jeremiah arrived at Megiddo Station, all he wanted was to make some trades and resupply his starship. He never thought he’d come away with a wife. Before he knows it, he’s back on his ship, alone with his accidental bride. Since neither of them speak the same language, he has no way to tell her that there’s been a terrible mistake. And because of the deadly famine ravaging her home, there’s no going back. She’s entirely at his mercy, and that terrifies him more than anything. Jeremiah isn’t ready to take responsibility for anyone. 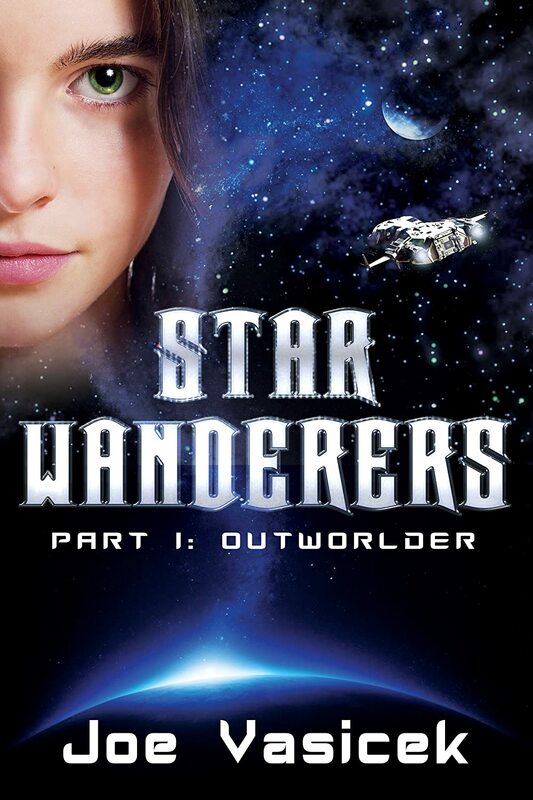 He’s a star wanderer, roaming the Outworld frontier in search of his fortune. Someday he’ll settle down, but for now, he just wants to drop the girl off at the next port and move on. As he soon finds out, though, she has other plans. When Joe Vasicek was eight years old, he saw Star Wars IV: A New Hope and read Madeline L’Engle’s A Wrinkle in Time. He’s been making up stories about other worlds ever since. On this world, he’s traveled to the Colorado Rockies, the Syrian Desert, the vineyards of Imereti, the shores of the Mediterranean, and the gilded domes of the Holy Land, all of which have influenced his books. He graduated in 2010 from Brigham Young University with degrees in Political Science and Middle Eastern Studies & Arabic, and has since worked in a candy factory, a costume warehouse, a Washington D.C. think tank, and a village school in the foothills of the Caucasus Mountains. He has published over a dozen novels and novellas, but he hopes that that number will eventually grow to exceed one hundred. In the meantime, no matter what he does or where he travels, he’s always writing. 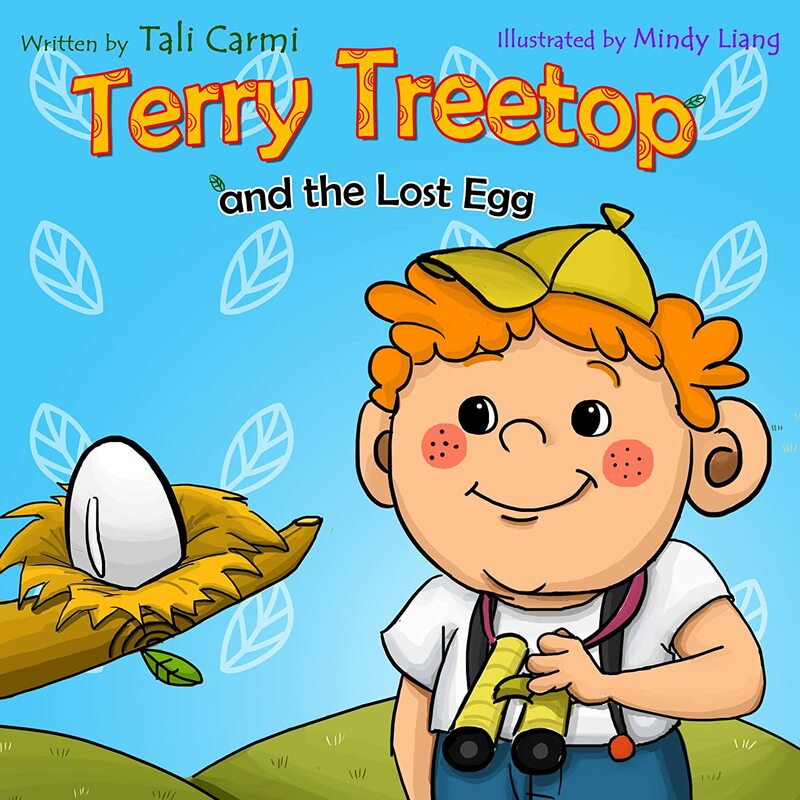 This fun children’s picture book is about a boy with red hair and freckles named Terry, yet everybody calls him Terry Treetop because he loves climbing trees. Terry finds a small egg, and his quest is to bring it back home to its mom. But where is the egg’s home? Does the egg belong to a turtle on the sand or a crocodile’s spring water? Did it come from a frog in a pond or a chicken in the wild? with simple rhyming text and 18 colorful illustrations . Tali Carmi spent her childhood in a small town in the desert. She memorized and knew by heart many books that her parents read to her when she was very little. She played with words and rhymes and wrote her first book of songs at the age of ten. After many years of turning to other hobbies and maintaining a successful career, she now writes again for young children. Tali is the CEO and founder of a software company and a business coach focused on the fast growth and success of small businesses. She holds a B.Sc. in Food Science and M.Sc.in Biotechnology, and she is a graduate of a Team Management and Leadership program. Tali Carmi is happily married and a mom of three children. Amy was cursed. There was no doubt about it. It happened the day her mother left her in an old Lost and Found box when she was only three. That day, she believed, was the day that she had been cursed with the uncanny ability to locate lost items, people and things, but never to be able to find things she had lost herself. Tossed around from home to home, because no one wants her around, Amy is placed under the care of an old German man named, Mr. Heckler. There Amy finds, a lost baby deer, a home, and a chance of a new life. Given a list of lost items to locate, Amy sets out to prove her abilities, only to find herself a pawn of power, in a very dangerous game of seek and find, where desperate individuals will stop at nothing until she has found every secret, and dug up every treasure the town has. 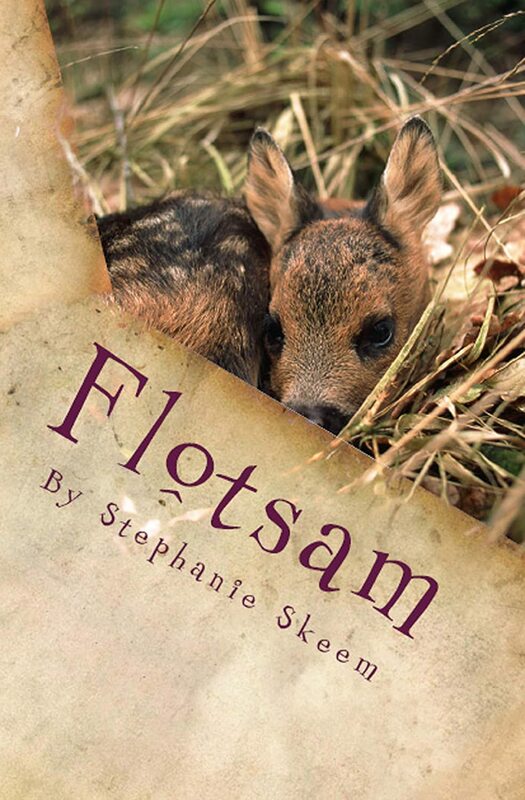 FLOTSAM, is an adventure story that tells of forgiveness, and hope, of shipwrecked lives, and of those amazing coastguards of life who take the time to find us when we are lost. Stephanie Skeem, the seventh child of nine children, was born on the sixth day of June on the sixth month, in the tiny town of Snowhere, sandwiched right in the middle of Somewhere and Nowhere, with Nothing Much in between. She lives on a not so ordinary farm, with a barn (that isn’t red) With goats that can fly over fences, an orphaned horse that thinks it’s a unicorn, and chickens that actually have invisible teeth. For fun, she sings to old people, does amazing hula hoop tricks, paints beautiful pictures, milks goats, has mud fights, rescues the poor and afflicted, and scuba dives through water that is amazingly populated with leaches, alligators and hippos, all while sitting at her writing desk. To whom it may concern, and you should all be concerned. I told Ivory not to publish this book. But Ivory never listens to me. For being an elf with such big ears, her hearing is very bad. So, now here we both are. You wanting to read this VERY DARK tale. And me trying to warn you of the dangers that could happen if you do. You, probably being an ordinary person and all. No disrespect to ordinary people. I like them…or you. But, generally, ordinary people are toxically attracted to things that are not so healthy for them, like candy, and old broken-down buildings full of nose hair twisters, and throat gobblers—forgetting that they should be very afraid of dark, spooky, creepyish sort of places, until it’s too late. Be WARNED that this book, once cracked opened, will cause the innocent lights in your bedroom to quake and shiver, and perhaps go out, leaving you in the darkness. So keep a flashlight, or a glowing, friendly, non-poisonous mushroom nearby, just in case. Only brave individuals should dare to read this book. As for myself, I’m brave. I’m not afraid of the dark. Except for when it’s dark, of course. Ahem. Ivory Autumn is an elf who enjoys ice-skating, swimming, cheesecake, noodles, hula hooping, and exploring tree houses. Her favorite color is purple, and her preferred shape is a circle. She likes the smell of cinnamon, and the sound of feebee bugs clicking their wings at night. She doesn’t like carrots, getting slivers under her fingernails, radishes, blustery wind, doing moldy dishes, or stepping in cold puddles with fresh stockings on. If she were to be any kind of fruit, she would be a mango, because they are so yummy. She likes watching lightning. Her favorite season is springtime. She likes tall trees, and having butterflies land on her nose. She spends much of her time with her best friends, Andrew, Freddie, Talic, and Gogindy, protecting them from dragons, and other types of nasty monsters. A selection of chilling stories from some of the best Indie authors on the market. 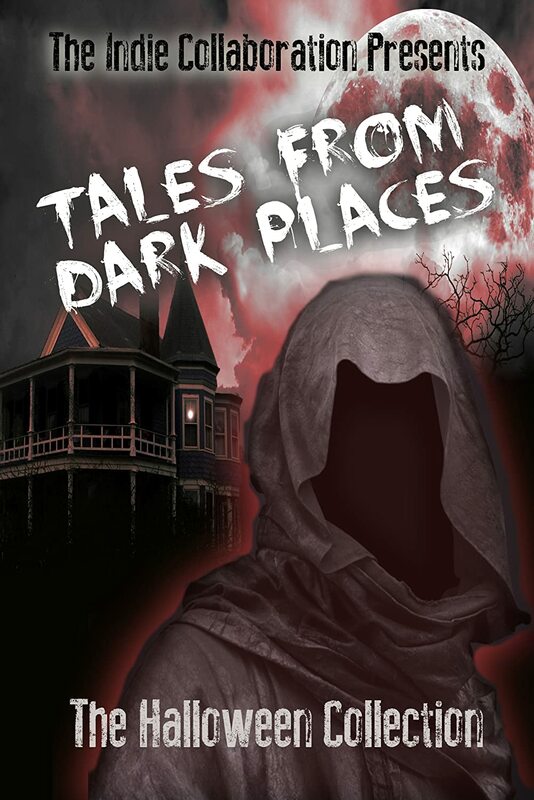 We dare you to venture into these pages of spine chilling tales and stories of ghosts and goblins. Freely donated by the authors themselves, these dark passages are a great example of their various, unique styles and imaginations. This is the first of a series of topical collections brought to you by The Indie Collaboration. The Indie Collaboration grew out of a group of like minded independent authors. Together, we decided to show the world how great works of fiction can be created without the involvement of any large publishing companies; creating a direct channel between ourselves and our readers is of the utmost importance to us. Each author has freely donated their time and work and are committed to the Indie Collaboration’s cause of: Offering the best of indie authors in bite size pieces for free. We hope you enjoy our books. 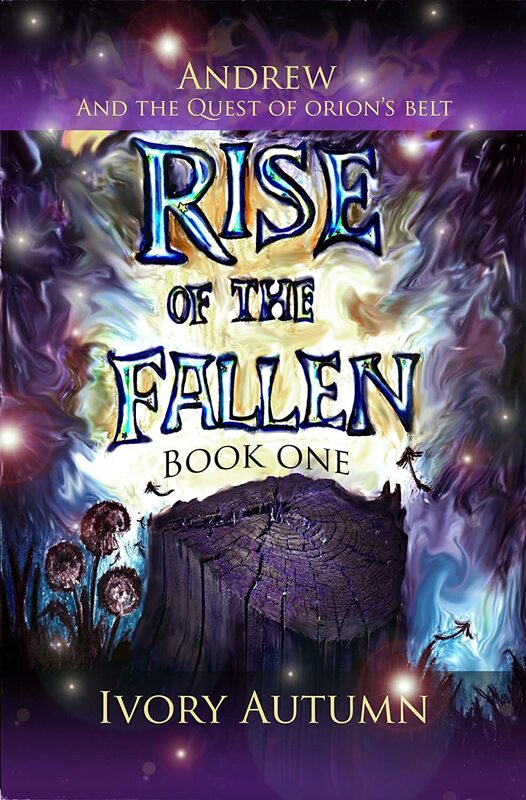 The first book in the Everman Saga, packed with action and adventure. Ella and her brother Miro are orphans, their parents killed long ago in the ongoing struggle against the mad Emperor. From the day Ella witnesses an enchanter use his talents to save Miro from drowning, she knows what she wants to be. But the elite Academy of Enchanters expects tuition fees and knowledge. Determined, Ella sells flowers and studies every book she can. Meanwhile, Miro dreams of becoming one of the world’s finest swordsmen, wielding his nation’s powerful enchanted weapons in defense of his homeland. A dark force rises in the east, conquering all in its path, and Miro leaves for the front. When the void Miro left is filled by Killian, a charming stranger from another land, Ella finds herself in love. But Killian has a secret, and Ella’s actions will determine the fate of her brother, her homeland, and the world. James Maxwell is a fantasy writer, world builder, and self-confessed nomad. James Maxwell was educated at the University of Queensland in Australia, where he studied engineering, computer science, philosophy, psychology, English and economics. James Maxwell’s travels have led him to find inspiration in over forty countries in six continents. He wrote his first novel in Thailand, second in Mexico, third in Austria, and is currently typing away in Malta. The rest of the time, James Maxwell lives in Highbury, North London, with his wife Alicia, where he enjoys walking, wine and French cooking, when he isn’t on one of his frequent expeditions worldwide. 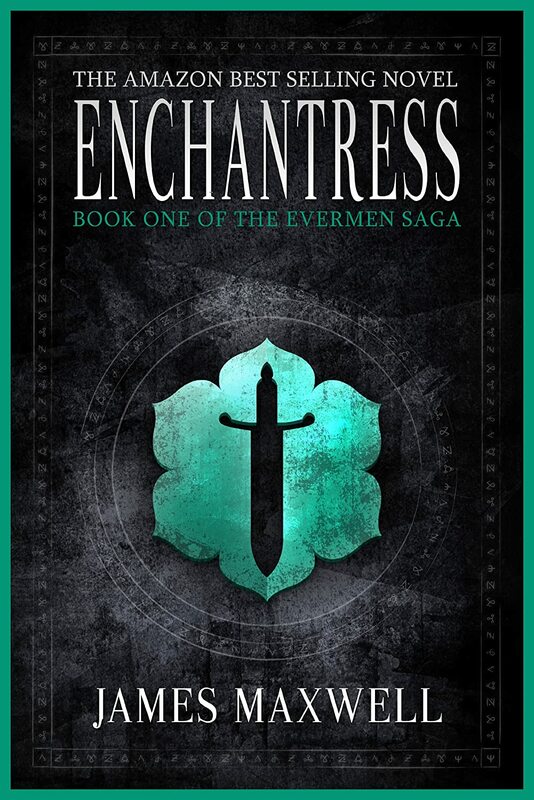 James Maxwell published his debut epic fantasy novel, Enchantress, in 2012. A father’s threats. A tragic accident. Unanswered questions. Oz Sullivan has finally moved past the tangled web surrounding his brief, but intense, relationship with the young, impetuous Adrienne Deschanel. Through his family, and successful career as an attorney, he has forged a tranquil predictability. Then Adrienne unexpectedly emerges, with no memory of the life she once led. Her desperate attempt to flee the confusing and dark influences in the bayou instinctively propels her to the one face for which she has a name. Oz’s world is once again turned upside down, as he must decide how to help her without losing himself entirely. 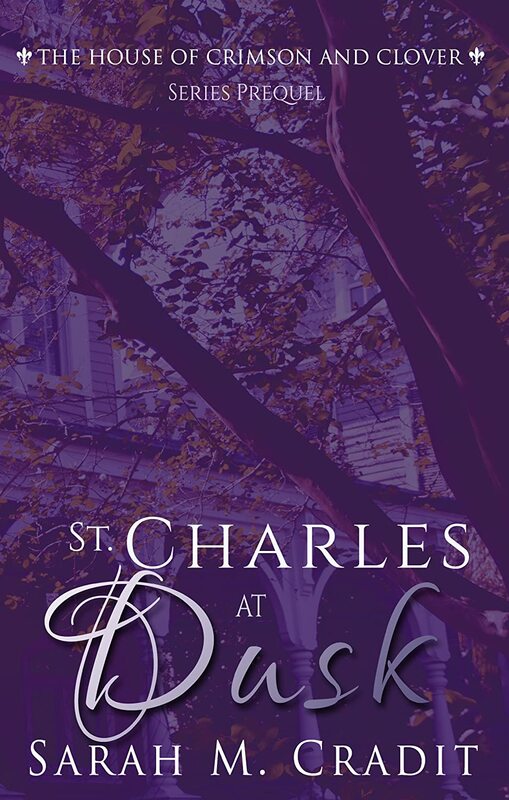 Set amidst the lush and vibrant backdrop of New Orleans, St. Charles at Dusk tells the story of Oz and Adrienne; of forbidden love, and startling heartbreak. Sarah is the author of the Paranormal Southern Fiction series, The House of Crimson and Clover. The series was born of her combined loves of New Orleans, family dramas, and the mysterious nature of love and desire. Her books combine elements of paranormal, mystery, suspense, intrigue, and romance. She is always working on the next book in the series, and absolutely loves connecting with her fans. Sarah lives in the Pacific Northwest, but has traveled the world from Asia to Europe to Africa. When she isn’t working (either at her day career, or hard at work at writing), she is reading a book and discovering new authors. The great loves of her life (in order) are: her husband James, her writing, and traveling the world. We love what scares you. We are a horror anthology featuring short tales of horror and suspense. You won’t find any sparkling vampires here, just monsters of both the supernatural and human variety. This is your chance to get 100% FREE issue. Devlin Blake is your guide to the world of the supernatural, the twisted and the macabre. The world around ten-year-old Sunni Brown is crumbling. War, disease and crushing poverty are everyday realities. For a while, she counts herself amongst the lucky. 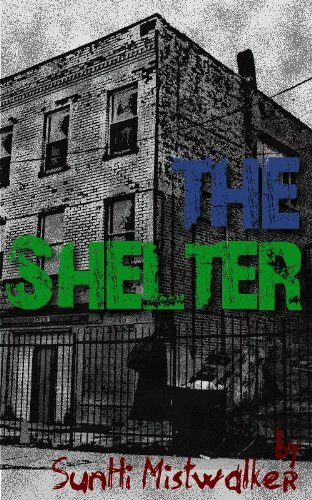 But will she survive when she’s forced to live in an abandoned parking structure? This is a scary future; but there are no werewolves, vampires or zombies…in this future, human beings are the scariest creatures of all. SunHi Mistwalker is an award-winning writer of dystopian and speculative fiction. She enjoys exploring the themes of poverty, class and the collapse of societies.